Throughout the year, people all over the world are busy booking their vacations so they can get out and explore the world. 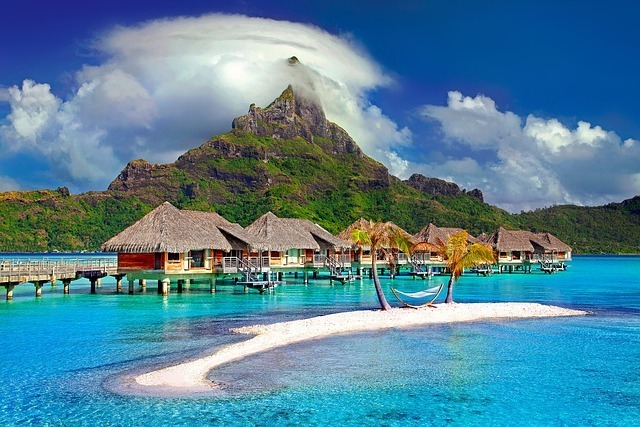 Today, there are hundreds of websites that are specialized to help someone get their vacation planned, from the moment they leave the door to the second they step off the flight to home. And for those who participate in the business end of these transactions, there are APIs online to give their website or software the connectivity it needs to provide a top-notch experience to eager travelers. Before diving into the booking API list, let’s explore their purpose. API stands for “application programming interface,” which in short means that it’s a tool to help one type of software (or website) interface with something else. In this case, a hotel booking API can be used in third-party software to connect to a booking service, like Skyscanner, to obtain flight details and up-to-date itinerary information. From the perspective of those who design independent mobile apps and website, a hotel booking API is a bridge between the user and a third party that provides hotel booking services or information. Implementing an API into software is usually pretty simple, at least from a programmer’s point of view. It typically involves inserting a few lines of code and a unique access token, both provided by the creator, owner or manager of the API. The process of getting a key varies between providers. Sometimes it’s as easy as clicking a button, but most of the time it involves setting up a certain type of account with a provider, usually on their website. Rarely, a more direct email request is required for a key, especially if the service involves a lot of requests or bandwidth, or the provider is a smaller company. Some tweaking is undoubtedly required to make the API function or appear perfect in the final version of the software or website, but any trouble in this regard is almost always worth the benefits it brings. Finally, some clarification on what it means to “book” something. No, we’re not talking about what happens when one ends up in jail. In this case, booking can mean anything from scheduling an appointment with a doctor or lawyer to finalizing an entire vacation. One can also book something into their own personal schedule, like a meeting with a friend. It actually a shorter way of saying “put something in the writing,” or “in the books,” hence the name. People also tend to refer to schedule travel as a “booked” trip, like taking the bus, train or an airplane. With all of that covered, it’s now easy to see why APIs can be so useful for this field. The world of booking is broad and very profitable, as so many people like to take care of these tasks on the internet, where problems can be solved with just a few clicks of a button. Zilyo is a search engine API specifically designed to connect to millions of current booking listings around the globe in over 200,000 destinations, covering everything from hotels to apartments to castles. The API will then take the provided information, connect to the Zilyo servers and produce some booking results for the user to browse. The API connects to 23 different providers, including AirBnB, WebChalet, StopSleepGo, TheOtherHome and more. Similar to Zilyo, Qtravel is another search engine API but is designed specifically for Polish tour operations. Another notable difference is that Qtravel returns responses in XML only, while Zilyo provides JSONP and JSON responses. This can mean a great deal of additional work on the part of the programmer, so plan accordingly. The API includes filtering commands to ensure that the client receives only the most suitable results. This API includes a free plan that limits the queries to 200 per day and also limits some of the functionality. There are two regular paid plans, Standard and Pro, which allow 1,000 and 5,000 queries a day, respectively. The Standard plan is around $13.50 a month, and the Pro plan is closer to $54 per month. Enterprise plans are available by quote for those who need a little more than that. As the name implies, Wayfinder is specifically designed to plan transportation routes, even applying different forms of transportation, like buses, walking, and trains, if needed. All of these options can be filtered by time, type and distance, among many other useful options. This API can be useful to include with some of the others on this list so users can both book their hotel and get a good view of their transportation options while out and about. The Wayfinder free plan includes 30,000 requests per month and a dedicated environment. The paid Pro plan costs $200 per month and includes 250,000 requests, with each extra costing $0.001. The Pro plan also includes revenue sharing options, information about individual travel providers and some technical support. The world of booking is not limited to hotels and vacations. One also has to book appointments, such as with doctors and healthcare professionals. DocPlanner is the API for this situation. This API includes requests to search for, browse and book appointments with doctors in the medical field. This API is free to use but includes soft rate limits to prevent server overloads and DDoS attacks. The response will include a specific error to inform the user if the service is being throttled. Flight Bookings by AirHob gives the user the ability to view and book flights in real time from all carriers, even low cost, and full service. When approved for a sandbox, or development, account, the requests are limited to 30 calls per second and 1,000 per day. This limit is raised to 10,000 per day once the account is approved for production. Zumata is an API specifically for business-to-business travel bookings, focusing on hotel stays. This could be for business meetings, golf outings or vacation trips and often involves some special procedures. It’s a hypermedia API powered by the buzzing IBM Watson blockchain technology. Requesting a test key for development is as easy as navigating to the Zumata website and clicking a button. Getting an official API means sending a special request to Zumata that involves filling out a form, so it’s a bit more exclusive than the other APIs on the list. Also, pricing and limitations will, therefore, vary from customer to customer, since they are available by quote only. The MakCorps database is a great booking.com API alternative and is regularly updated to reflect new changes in Hotel Booking prices and availability. With RapidAPI, you don’t need a MakCorps API Key, but instead just the RapidAPI Key (“X-Mashape-Key”) found in your RapidAPI account. The MakCorps API is free up to 420 monthly calls. There is also a Pro subscription plan for $35.00 that allows up to 10,000 calls/month. The TripIt organizes your travel plans into an itinerary so all your travel details are in one place. To get started with an API Key, visit https://www.tripit.com/developer. To get an API key, head on over to https://goalltrip.com/ and sign up for an account. Wubook’s Rate Checker API allows you to compare rates of hotels and their competitors. Use this API to monitor and compare prices and date availabilities between hotels or bed and breakfasts of your choice. Get started by visiting their site to acquire a token for access to the API. Skyscanner API is a great Google Flights API alternative (now that it is deprecated). You can use this API instead to incorporate travel data into your app. Skyscanner Flight Search is a public API exclusively listed on RapidAPI & allows you to connect to all the data you need to get the best data on flights, hotels or car bookings. To get started, head over to the Skyscanner API page and click on “Connect to API”. No API key from Skyscanner required (except for the RapidAPI/X-Mashape-Key located in your account). Do you agree with our list of Booking APIs? What do you think is the best booking API that is missing from this list? Let us know in the comments below.